GP 171/1111 COMPOUND Lithium Grease is a high-purity, high-quality lithium-based grease that provides superior lubrication and durability in any weather and most temperatures. This versatile grease is designed for light duty applications requiring a long grease life. Lithium Grease contains oxidation inhibitors to counter corrosion, and protects with a tough, high viscosity film. Recommended to lubricate hinges, latches, overhead door tracks, open gears and chains, cables, slide conveyors, guide rails, cams and pistons. Excellent as a break-in lubrication for bearings. Also used for general purpose lubrication and corrosion protection for machinery, tools, and equipment. • Heat and Water Resistant. Provides lasting lubrication and durability under stressful conditions. • Rust & Oxidation Inhibitors. For superior metal protection. 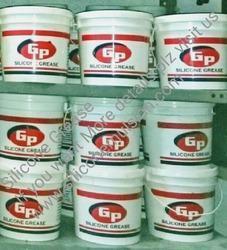 • High Purity, GP 171/1111 COMPOUND lithium based-grease. washing and harsh environmental exposure: meters, electrical service entrance and underground connections. GP 171-1 Compound can be applied by hand, specially designed automated equipment brushing or wiping. Certain designs of grease guns may seize up; test prior to use. A thinner consistency can be achieved by dispersing in solvents such as xylene, mineral spirits and methyl ethyl ketone. 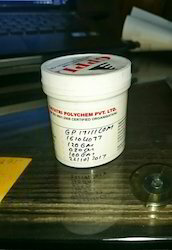 GP 171-1 Compound should not be applied to any surface which will be painted or finished. Such coatings may not adhere to the silicone-treated surface. If contaminated by a silicone coating, parts can be wiped or washed with solvent, washed with detergent, or immersed in an alcoholic potassium hydroxide solution and then rinsed in clear water before painting. GP 171-1 Compound is not greatly affected by mineral oils, vegetable oils or air. It is generally resistant to dilute acids and alkaline and to most aqueous solutions. Because each application may vary in chemical composition, pressure, flow velocity, re-lubrication requirements and equipment design, it is recommended that the silicone compound be tested before adopting for regular use. Compound may cause temporary discomfort when in direct contact with eyes. In case of eye contact, flush eyes with water. Product Safety information required for safe use is not included in this document. Before Handling read product and material safety data sheets and container labels for safe use. The material safety data sheet is available on request. Silicone laboratory Samples (SLM) is development products. Therefore, we cannot at present give any binding assurance of constant properties or of continuous supplies in future. Gayatri Polychem DISCLAIMS LIABILITY FOR ANY INCIDENTAL OR CONSEQUENTIAL DAMAGES.